For many homeowners there is nothing more pure than white marble for the flooring and countertop. 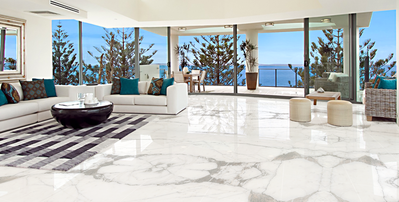 Consider Statuario marble for the living room, bathroom & kitchen. Statuario is a natural stone that is able to match the tradition to modernity, a versatile, elegant and sophisticated material suitable for both interior and exterior projects. Visit us for Purchase and Quote Discuss!